Remember that one time I forgot that Leftovers Club posts were due? I have no idea how this week snuck up on me. It has been a busy few weeks I suppose. Anyway, after attempting several recipes to no avail, I came up with these cookies. 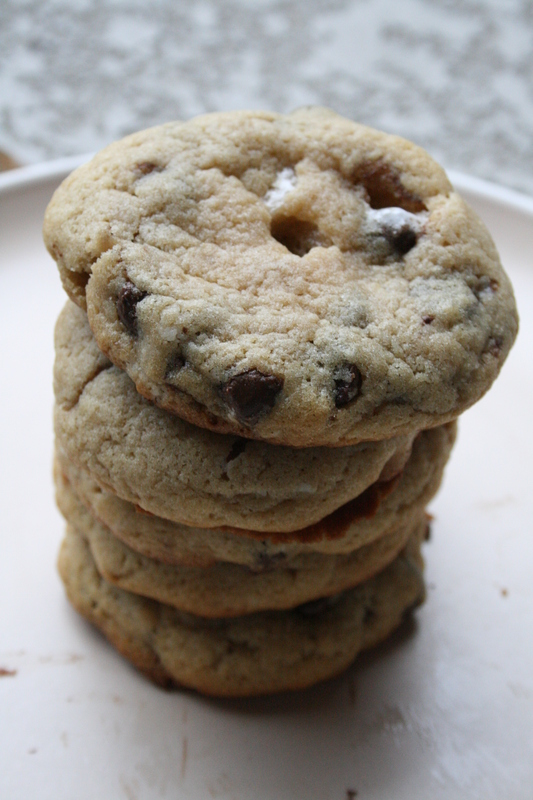 They are soft and fluffy chocolate chip cookies stuffed with mini marshmallows. I had to make several batches before I just got them right, but even the wonky ones where the marshmallow evaporated in the oven still tasted amazing. 1. Mix together the melted butter, sugar, and eggs in a large bowl or electric mixer. 2. Add in all other ingredients except for the marshmallows. 3. Chill dough in the fridge for at least an hour. 4. Pre-heat oven to 350 F.
5. Flatten one tablespoon of the dough onto a flat surface. Place 3 to 4 mini marshmallows on top of the dough and then cover them with another tablespoon of dough. Shape into a ball and place onto a greased cookie sheet. 8. Let the cookies cool for 5 to 10 minutes before transferring them to a wire rack to finish cooling completely. This entry was posted in Desserts and tagged chocolate, dessert, marshmallow. Bookmark the permalink. Love the cookies, love the list! And I think we are all still recovering from Thanksgiving– I almost forgot, too! Love marshmallows in baked goods! My brother makes the best brownies and his secret is mini marshmallows. If it weren’t for the little indentations you would never know. Marshmallows make everything better! I want these cookies now! 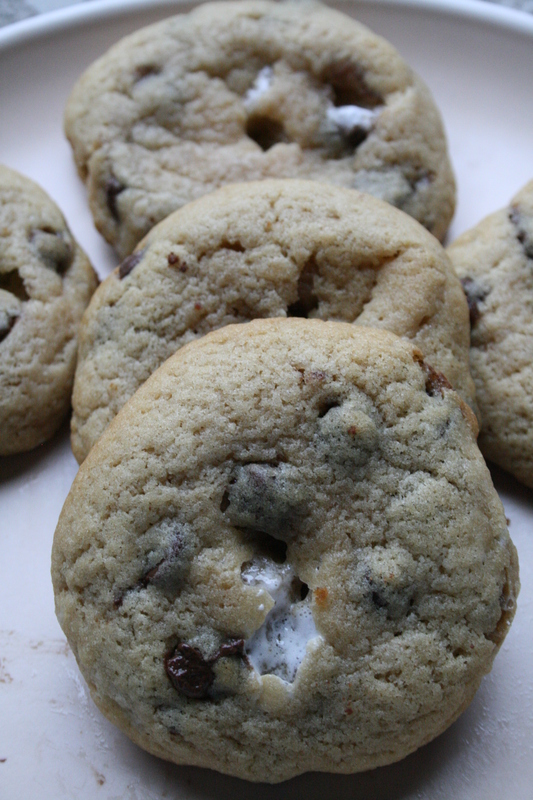 This is one thing I have yet to try…marshmallows in cookies. Yours sound delicious!